The Range Rover Evoque is a pretty damn good car. In fact, the only way we could see to make it better would be to add more power and paint it orange. Which, curiously, is exactly what Land Rover have done with the new Evoque Autobiography Dynamic model to be unveiled in Geneva. 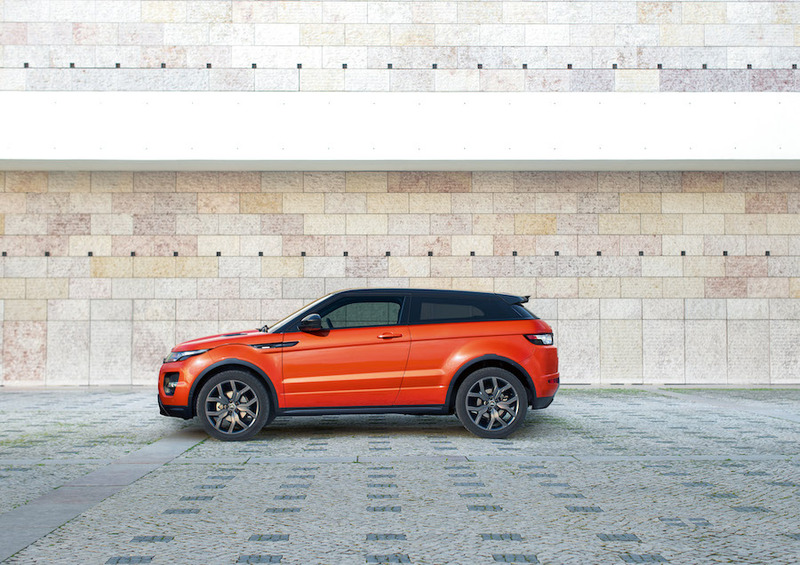 Phoenix Orange metallic is the name of the tangerine hue that’s set to be available across all Dynamic Evoque derivatives. But, for now, it’s premiered here on the Autobiography Dynamic model which also marks the first use of the Autobiography badge on the smallest of the Range Rover clan. Colour aside, the Autobiography Dynamic also shows off a host of additional enhancements. Not least, a 44 bhp boost from 237 to 281 bhp with a corresponding torque increase to 295 lb-ft. Hardly monumental amounts, we’re guessing the 5.0 litre supercharged V8 from the ‘real’ Range Rover wouldn’t fit, but it’s still a healthy output from the 2.0 litre petrol turbo Si4 unit. 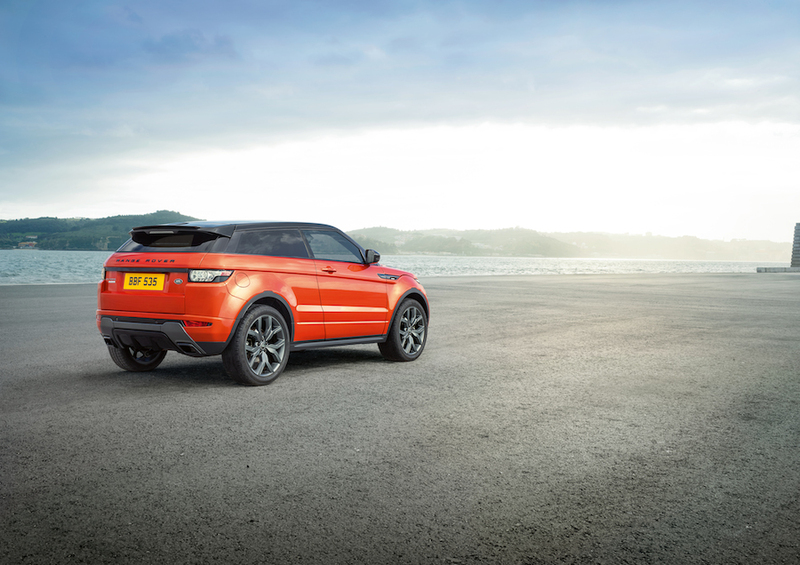 Mated to a nine-speed – yes, we did say 9 – automatic ZF gearbox that has been tuned for quicker shifts, we would easily expect the Autobiography Dynamic Evoque to best the 7.1 seconds 0-62 mph time recorded by the regular Si4 version. So yes, that’s a chunky SUV that’ll quite happily return hot-hatch level acceleration runs. Nice, although still somewhat down on the Evoque’s 335 bhp Porsche Macan or 355 bhp Mercedes-Benz GLA45 AMG rivals. Powertrain aside, the Autobiography Dynamic also includes enhanced steering for extra precision, firmer springs, recalibrated dampers and reconfigured suspension geometry. All of this is said to make the Autobiography Dynamic much more agile and responsive, although apparently without harming the ride comfort. Bigger 350mm front disc brakes help slow the extra horsepowers, and are linked to a ‘Torque Vectoring by Braking’ system which acts to reduce understeer when pressing on. 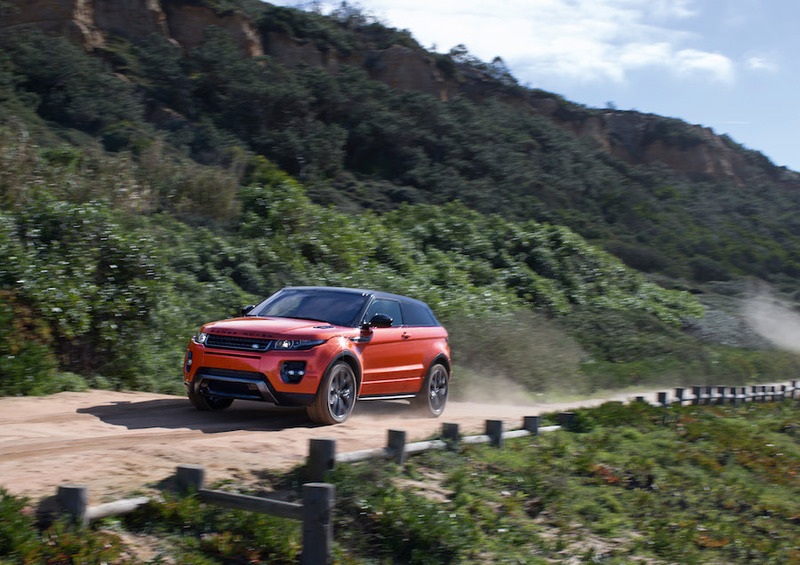 With the standard four-wheel-drive system, there’s no reason why the Autobiography Dynamic Evoque shouldn’t be able to use its extra power to rapid effect on the open road. 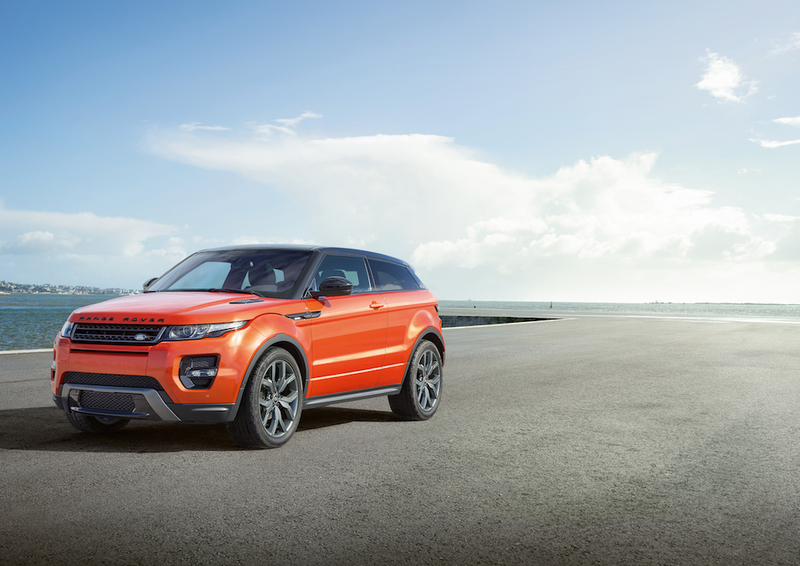 You’ll be able to distinguish the Autobiography Dynamic from regular Evoque models by a subtly new front grille, a lower front splitter, ‘jewel-like’ headlights and tail lamps, along with mean looking 20″ forged alloy wheels. On the outside the front wings and rear hatchback get bespoke Autobiography badging, whilst inside the seat headrests feature Autobiography embossed logos, complimented by illuminated Autobiography door sills. In short, there’s little chance of forgetting what you’re behind the wheel of. Finally, Land Rover’s new InControl App allows applications from iPhone or Android devices to be controlled directly from the Evoque’s touchscreen display. It’s still a Land Rover underneath it all; don’t forget. Land Rover hasn’t provided information on how much the Autobiography Dynamic will cost but, given that the regular Si4 Dynamic Coupé costs from £46,650, a starting price just beneath £50k sounds likely. It won’t be cheap, but EngageSportMode would quite happily have a more powerful, bright orange Evoque. As we said at the start, it’s about the only way we could think to improve the car we gave our very first award to back in 2011. Expect more details once the Autobiography Dynamic gets its official unveil at the Geneva Motor Show next month.